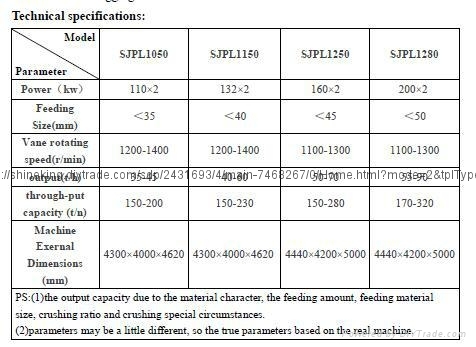 PL serials high-speed crushers are medium coarse type crushing equipment developed by Shuangjin company for the construction material primary industry under the condition of lack of natural sand. 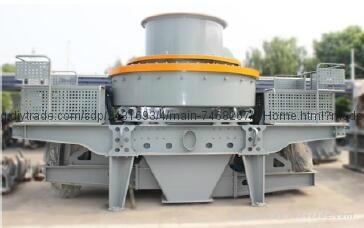 Mainly used for making artificial sand, the usage of the type of crushing equipment can solve the problems of resource lack and price rising, meanwhile, to clear off the river waste rock and gangue waste in large amount can be energy-saving and resource usage improving. Suitable material: pebble, mountain rock(limestone, granite, basalt, diabase, andesite,etc. ), mine gangue and rock scrap are used for making sand. Used in the production of construction aggregate, road material, cushion material, bituminous concrete and cement concrete aggregate. Application: it is widely used for crushing all kinds of rock, grinding material, fireproofing material, clinker, quartzite, iron ore, concrete aggregate, suitable for medium crushing and fine crushing(sand making), especially suitable for construction sand and road building sand.